The European Youth Parliament United Kingdom (EYPUK) is a politically unbound charity organisation open to young people aged 11-24. Involvement in EYPUK can be either through one of our three main events – Regional Forums, National Sessions and EurVoice – or by volunteering for EYPUK. EYPUK works across the country, operating a wide range of events and forums for young people. 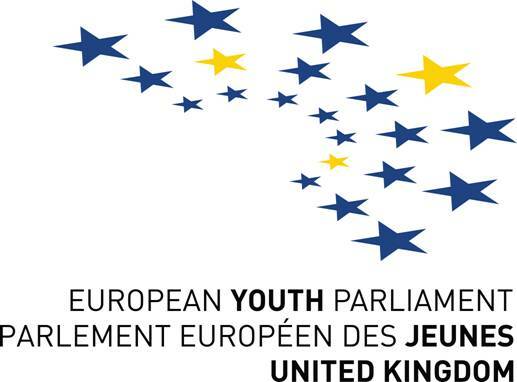 The European Youth Parliament United Kingdom (EYPUK) is the UK’s National Committee of its umbrella organisation, the European Youth Parliament (EYP). The EYP is active in over 33 countries across Europe with local, regional, national and international events. EYPUK is a registered educational charity (no 102943) which is run by committed individuals who are passionate about building on the potential of young people through the strengthening of skills such as communication, teambuilding, trust, understanding and working with others from very different backgrounds. It also seeks to offer young people across Europe the opportunity to become active citizens by participating in various events. In the UK, we run 14 regional debating competitions, 2 national sessions with participants from across the UK, and a series of EurVoice events encouraging young people from state schools to take an interest in Europe and improve their skills in discussion and debate. EYPUK also links up with the wider EYP community for International Sessions.